Here is a captivating memoir – a life story told through encounters with death – some minor, some too close for comfort. O’Farrell’s lyrical writing encourages the reader to examine the (mile)stones life presents – and how precarious those (stepping)stones can be! From a reckless teenager to motherhood, it was a privilege to witness the author’s experiences and emotions – definitely unique to her, while also quite universal. 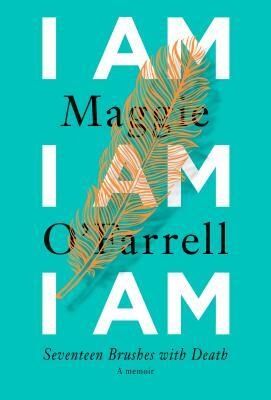 We will not all experience the horror of severe blood loss in childbirth, or the dangers of being pulled under a violent ocean’s riptide, but with any luck, we WILL learn how to swim with the ever changing tide, as Maggie O’Farrell has done so elegantly.